Outcomex has unveiled plans to double headcount in Melbourne within the next 12 months, as the technology provider celebrates one year of operations in Victoria. 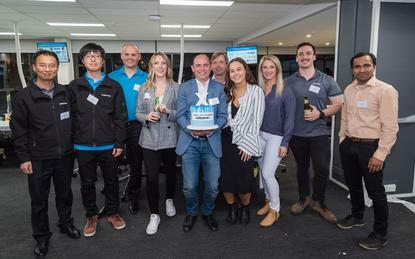 Since establishing a presence in Melbourne, the business has grown from two to 14 employees in the space of a year, with expectations to double this number by the end of 2019. Specifically, the Melbourne division closed more than 100 deals during the past 12 months, posting $14 million revenue in the process. To facilitate further growth in the state, Outcomex has also moved into a new location which can fit up to 50 employees. "We found that Victoria didn’t have a partner able to deliver end-to-end Cisco solutions before we opened in Melbourne," a spokesperson for the services provider told ARN. Outcomex counts on Swinburne University, The Good Guys and the Victorian Electoral Commission among its key customers. Established in 2006, the managed services provider is headquartered in Sydney with offices also in Adelaide, Brisbane, Canberra, Darwin and Perth. Formerly known as Uplinx Group, the company rebranded to Outcomex in December 2016 in, what the company described at the time, as a move to better reflect its motto of delivering business outcomes for customers. From a vendor perspective, the business partners with Amazon Web Services, Citrix and Cisco, alongside Microsoft and Telstra. In October 2017, the provider announced a number of hires as it expanded the presence in Melbourne which included Tim Lewin and Lincun Qian who joined from Thomas Duryea Logicalis and Netstar Australia respectively. Furthermore, Outcomex recently scored a $4.8 million contract with TAFE NSW to deploy Cisco security software. The three-year contract was awarded in April – with deployment expected to take up to six months - and runs until 24 April 2021.